Commercial activity through WordPress using WooCommerce plug-in doesn’t mean that you have to purchase premium themes. Professional developers have interesting templates absolutely for free. If you don’t need something special or extremely powerful – take a look at the set of themes we have found. First of all, small eCommerce websites need to rely on simple yet functional templates. All our picks are designed to help you with easy and clean installation and usage of your online shop. Perfect responsiveness, design and functionality for basic projects! Sometimes you don’t want to use premium tools for simple things – check our Free WooCommerce WordPress collection in this case. If you need to analyse more themes to make your choice, then check the other collection HERE. SmartShop Lite is a free WordPress theme with nice package of features for such class of templates. It supports the WooCommerce and digital downloads out of box, so you can be sure that any eCommerce project can be done easily with this theme. Customize header, background and color settings in general with classic set of tools. Add call to action with special widgets area or featured information on the main page in a couple of clicks. The SmartShop Lite supports special plug-in, which helps you dealing with various data selling. SmartShop Lite is a very responsive, clear and simple theme for online shop. Great example of prefect yet free template. Socute theme for WordPress platform has an interesting free version that is not really weak when it goes about premium version of the same template. Both are multipurpose and have additional functionality for detailed tuning of your eCommerce project. Add static header image, custom widgets and special pages, such as Services and Testimonials for extra showcases for your information. The Socute fully supports WooCommerce and allows you to add Wishlist, Compare and Share tools. Use Mega menu feature to simplify navigation and enhance user experience. The template is ready to be translated into any language and comes with WPML support to add customer support or feedback on your website. Shopper theme is a free template for a WordPress shop. It is compatible with all modern browsers and is highly customizable, so you can be sure of uniqueness of your eCommerce project. Simple and clear – these words fully describe an appearance of the theme. You can use custom background and border colors; change the main menu as you wish. 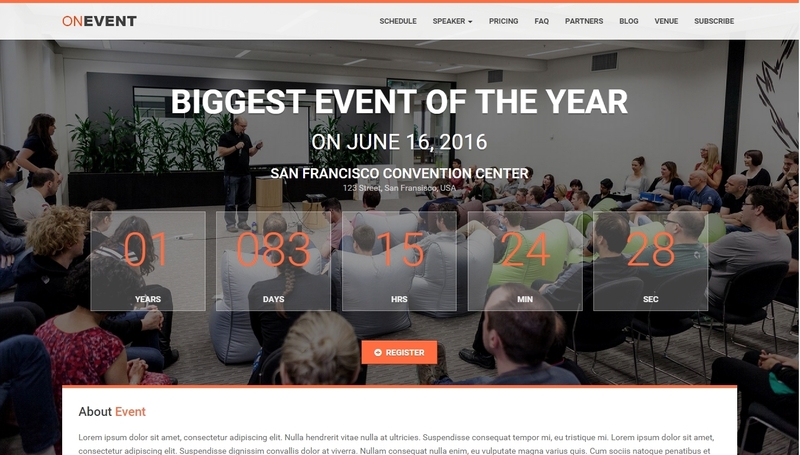 Check the advantage of responsive page layout – you will be amazed. Minimalistic style is a great extra for all features presented in Shopper. Get support and updates in this free template, video tutorial and unlimited domain usage in one pack. The Shopper is a perfect basic eCommerce platform. 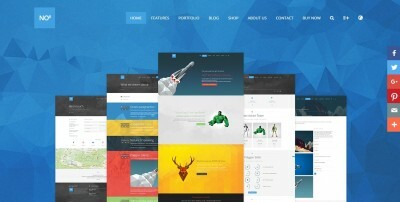 TheShop is another example of minimalistic theme for WordPress. And also it is absolutely free. Simple installation, extended customization options, cozy navigation and all required for eCommerce activity features. Try this template and you will see that premium templates sometimes can be substituted. You have two options for page templates from scratch: front page (demo-like) or full width appearance. It is very handy for various tasks. Use unlimited color options to customize the appearance of your website – everything is right here. Also, take a closer at blog options; even if you are not going to start a corresponding website they can help you with optimization of posts. Responsive and contemporary theme – TheShop – is a real gem among free templates. If you are looking for a one page free WordPress template – take a look at Zerif Lite. It is a very powerful advertisement platform that allows you to create an informative presentation for any business or eCommerce purposes. This theme is compatible with all browsers, modern, and bright. Zerif Lite will draw attention of your visitors for sure. Beautiful design of the main page, which includes many specialized sections, allows you to divide information into parts. Fully responsive, with support of all languages from Arabic to Russian; Zerif Lite is an impressive theme. Cozy theme options panel, eye candy effect such as animations and parallax. Pick this template in case you want to have a perfect presentation absolutely free. Sometimes it is very important to have a theme, which can be a real partner in posting blog posts, news and some community messages. In such a case, if your project idea is not really complicated, you can choose the Mesocolumn theme. It is a free template for publications or social activity. Journal, magazine, newspaper – create any related website with the abovementioned theme. Special grid simplifies the usage of website and groups the information into cozy-in-use areas, which can be accessed from anywhere thanks to the interesting navigation solutions. The theme supports BuddyPress widget to start your very own community online. Responsive, customizable, and free of charges; Mesocolumn fits any publication activity perfectly. Storefront is a simple and free WooCommerce theme for WordPress. It was made firstly for all eCommerce website owners and offers all required tools for such activity. It is clean, elegant, and open for any optimization and customization. The special layout of Storefront will work flawlessly with any type of device, from mobile phones to modern high-quality PC displays. It supports WooCommerce template fully, and has some tricks to enhance its functionality. SEO-friendly, with custom homepage designs included and ready for translation. The Storefront is absolutely free, although has all chances to be used as a basic tool for simple online shops. Shopera is a free and contemporary WordPress theme to help you with an eCommerce. It offers you interesting design, clear appearance and full selling functionality. There is nothing excessing in Shopera; just an online shopping. Grid design is exactly what you need to order information, pictures, ads, and products on the main page. Classic set of pages with blog section, slider area, and fancy animations for extra eye candy effects. Create a homepage from scratch and make it ideal for customers with ease. Catchy header simplifies navigation and allows you to customize the logo. Responsive, clear, and sharp – the Shopera is a fine choice for eCommerce, indeed. Ever wanted to have a responsible and stylish WordPress theme for eCommerce activities? Try AyoShop. It fits perfectly any kind of online shop thanks to a huge number of various settings and options. The AyoShop is very easy to use and install, plus you will be granted with a full documentation set. Unlimited color schemes for extra customization, admin panel features, and good-looking block design. Take advantage of modern technologies. Based on Genesis framework the AyoShop it will work fast and smooth; just try out the theme and you will see its superior performance. Modern template for modern tasks; it will never let you down. 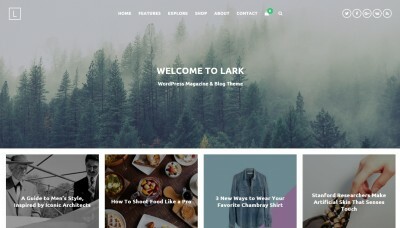 Make is a minimalistic WordPress theme, which will perfectly fit any publication activity. It offers you flexible customization, stylish and customizable layout and widgets support. This is a great background to start a blog or magazine. The theme is fully responsive. Your content will look same on every device, so you can stop think about compatibility when creating articles or portfolios. You can also add gallery or slider to any page on the website. The Make also works fine with E-commerce plug-ins; create a shop with powerful blogging part! The template proves that free doesn’t mean bad at all. Use this theme when you need a simple and clear start. Viper is a multipurpose theme for WordPress with a lot of interesting features to show, sell and tune everything on your website. Add custom post type, main menu, featured images; use built-in options panel for your advantage. There are many home page tweaks presented in Viper theme, such as special banner area for additional advertisements and advanced slider to extend the showcase. The appearance of template is modern and sharp, based on grids and squares. Such an arrangement allows you to order information better. Awesome and simple Viper theme can help you create a unique and creative multipurpose website in a couple of minutes. Fine pick, indeed! 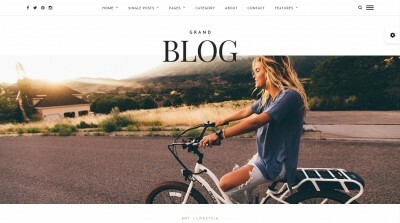 Cartel is another eCommerce-oriented theme for WordPress websites. It was made specially for WooCommerce plug-in and offers a lot of additional functions in the showcase creation to give you ability to advertise your products even better. The template comes with a powerful admin panel to customize each aspect of the website, from header to footer, quickly and simply. Cartel also uses a great slider with various effects on the home page. Such an addition to regular text data is a nice bonus to draw some attention of your visitors. Add banners, set testimonials – it’s all up to you! The Cartel has full documentation on own functions as well as WooCommerce plug-in. Now you don’t have to solve problems by yourself, just take a look at tutorials.